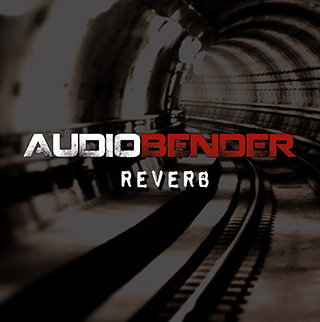 Audiobender are a three-piece rock band hailing from San Jose, California. They were formed in 2012 by singer/songwriter and guitarist Jared Richard who recruited former Soulorgy bandmates Paul Cingolani (bass) and Jeff Lemas (drums). Their music style is essentially alternative rock, with a healthy dose of blues thrown in, somewhere between Jet and The White Stripes, with Jared Richard’s expressive lead vocals sometimes bringing to mind Led Zeppelin’s Robert Plant. After getting their songs together they have been busy gigging and have garnered a large fanbase very quickly. They have a strong presence on social media and are currently heading for the top of the charts on Reverb Nation. This album, Reverb, is their debut containing ten songs and the first thing that struck me about their sound is that it manages to capture the raw energy and excitement of a live performance, something that often gets lost in the production process. combines a nicely driven but open guitar sound, clean enough to let the melodic basslines of Paul Cingolani to be heard, which is an advantage of being a three-piece. It also allows the strident and fluid drumming of Jeff Lemas to be fully appreciated, who drives this song forward with some propulsive, whirlwind fills around the kit. Jared Richard creates a nice dynamic by singing in a low croon before launching into a full-throated vocal assault on the chorus, showing impressive range and control. Every good rock band needs a great singer and he fulfils this criterion perfectly. Second track On and On is another strong song, this one more of a showcase for Jared Richard’s guitar skills, with some gorgeous ascending lead guitar harmonies on the chorus, the bassline adding a further harmony beneath it. After the second chorus there is a well-structured and controlled guitar solo that doesn’t outstay it’s welcome, then the harmonies start descending which gives some melodic variation. Sometimes lead guitar work can become about showmanship and lead to self-indulgence, but here the playing always serves the song. Third song Sweet acts as a nice contrast, showing a more melodic, gentle facet to the band. I enjoyed the lilting major-minor chord progressions and this is another good showcase for Richard’s versatile vocals, equally at home singing the hard rockers and the lighter songs, a gift that Lennon and McCartney both had. Next track MFH (Here Come The Girl) is most definitely in the former category and perhaps the heaviest track here. It’s a raucous, highly infectious five minutes of blues rock, in the vein of Hendrix’s classic Foxy Lady and 70’s bands like Led Zeppelin, melding it with more modem aspects of rock production, the distorted lead vocals bringing to mind The Black Keys and The Strokes’ Julian Casablancas. The start-stop structure works well dynamically and I loved the long middle section, letting the music grow and breathe.Too many rock bands arrange their songs like pop tracks in a bid to be commercial these days, so it’s refreshing to hear rock that is played without rules. One In The Hand, fifth track, is back to the lighter style with a clean, mellow but funky guitar sound that is reminiscent of the Red Hot Chili Peppers’ John Frusciante. Lyrically, it is one of the most serious and contemplative: “I spend my whole life on the edge of a sharpened knife…”. It acts as a nice change in mood and pace before a return to some hard rockin’ with sixth track The Rules. This is gritty and enjoyable rock ‘n roll that once again makes effective use of distorted vocals that give a raw edge and vitality to the sound. The whole song is something The Strokes would be happy to have in their canon, while Keith Moon would have been proud of the ‘whirling dervish’ drumming. I Wont Write This Song is another track with a melancholy, wistful feel lyrically, expressing regret over behaviour in a relationship, but managing to avoid it sounding clichéd and obvious through the clever conceit of the song title. Most of the lyrics are, in time-honoured tradition for blues and rock, about women and the happiness/pain relationships bring. The chord progression suits the words perfectly, and the solo is understated and exquisitely crafted. Know What I Mean is one of the more upbeat, poppy tracks on the album with a sing-songy melody on the verse that is extremely catchy, while the chorus is surprisingly jazzy in its chord voicings. Paul Cingolani’s highly melodic, elastic bassline stands out on this song, and the overall different style gives some good variation to proceedings, with a simple but insistent title hook sticking in the mind. Say Goodnight is the album’s slow-burning epic, starting quietly and gradually building to an epic climax, with a particularly intense and expressive vocal performance from Jared Richard and a lengthy guitar solo that you would imagine being played on the edge of a cliff in the video. It pages the way nicely for the final song Let It Bleed, which is not a cover of the Stones classic, but another of the head-banging rockers that Audiobender do so well, with all three members playing their hearts out. You can imagine them ending their set with this, and strangely, the listener does feel like they’ve just been listening to a live performance, which is testament to the production and the energy of the band. Overall, this is a consistently well written and performed modern rock album that feels just the right length and makes for a strong debut. Whilst they haven’t yet forged a unique sonic identity, they combine their influences to great effect and make a great noise together, all being very accomplished musicians. This is the kind of band that builds up a huge devoted following through touring and you can see that already starting to happen. I look forward to hearing future albums from them. This entry was posted in Album Reviews and tagged Jared Richard, John Frusciante, lead vocals, Led Zeppelin, Paul Cingolani, The White Stripes.